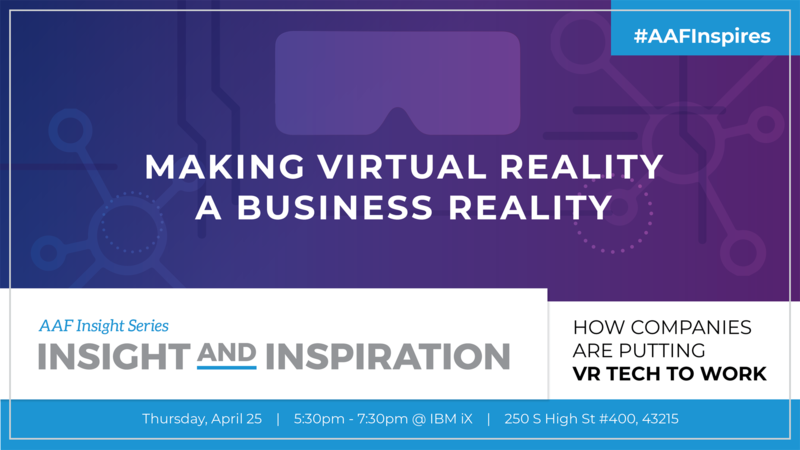 We've invited some of Columbus' leading virtual, augmented, and experiential reality experts to show us how they're putting the technology to work. By now you know how awesome experiential reality (XR) technologies can be. But how can your business take advantage of the potential? Join AAF Columbus at IBM ix to find out. This promises to be one of our most informative events of the year. PARKING NOTE: Park on the 3rd floor of the attached garage and take the elevator up to the 4th floor. There will be volunteers to help guide you!